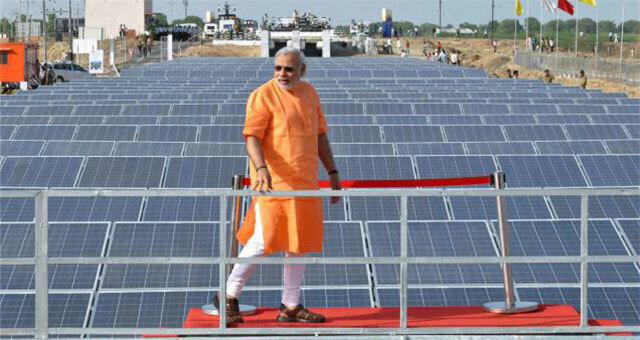 Out of 8113 MW of installed solar panel capacity in India only about 5287 MW is operational. The list below mentions the largest solar panel companies in India, basis their installed and operational capacities, according to the MNRE and updated as of December 2016. Total cell manufacturing capacity in India stands at 2953 MW, with Jupiter Solar Pvt. Ltd (280 MW), Tata Power Solar Systems Limited (250 MW operational capacity) and Indosolar Ltd (220 MW) being the largest cell manufacturers. Search by Tags:: What is the total solar cell manufacturing capacity of India in 2016?, What is the total solar cell manufacturing capacity of India?, What is the total solar panel manufacturing capacity of India in 2016?, What is the total solar panel manufacturing capacity of India?, Which are the best solar panel companies in the world?, Which are the biggest solar panel companies in the world?, Which are the largest solar panel companies in India?, Which is the largest Solar Panel Companies In India By Manufacturing Capacity? 7 Responses so far | Have Your Say! Rayzon Green Energies a young, dynamic and emerging manufacturer of photovoltaic solar modules having 40MW state of art facility in Vibrant state Gujarat, India. We had drawn our vision in 2014 in believing that our customers, partners and communities should use sun-rays in simplified way to make their future more vibrant and sustainable. To cope with this essential, Rayzon Green Energies, established in 2016, has ventured on a strategic plan to build its business in solar energy. Since the inception, company has delivered the trust by making highly reliable photovoltaic modules for various domestic, commercial and Industrial solar applications. These are indeed the top solar companies in India by manufacturing capacity. Really appreciate the efforts put to research on these companies. I’d like to suggest to add Agni Solar Systems Pvt. Ltd. to the list of top 25 Solar companies in India if you are expanding the list in future. A Pioneer And Leading Solar Energy Company In Pune – India, Agni Solar Is Market Leader In Rooftop Solar, Solar Water Heating & Solar Electricity System. Established in 1993 and spans Maharashtra and Goa region. we are providing Zero export system to Grid/DG. MicroSun Solar Tech Pvt. Ltd is a pivotal company in the area of renewable energy providing end-to-end solar PV solutions ranging from manufacturing solar PV modules to solar EPC installations. MicroSun Solar is India’s one of the leading manufacturers and suppliers of Superior quality Solar Photovoltaic Modules under the brand name – ” MicroSun”. The company carries with it more than 11 years of technical experience of successful solar manufacturing and projects in India ( Since 2007 ). The company has set up its own state-of-the-art facility of solar PV modules manufacturing plant with 100 MW in Bangalore, India. Our 3w to 348W solar modules are MNRE approved & IEC certified and 300W to 330W modules are PID free also. Bharat Heavy Electricals Ltd., Cairn India, Puma, Godrej, Conergy, ORB Energy, Minda, Simmtronics, V-Guard, CPWD, SSB, Assam Rifles, Power Grid, ITBP Force, Rajasthan Govt., APEDA, NREDCAP, APEPDCL, TEDA, Krishna Solar Power, MSIL, Nagaland Govt., Assam Govt. Etc. By integrating research and development, manufacturing, and commercial expertise across the entire solar value chain, MicroSun Solar Tech Pvt. Ltd provides industry-leading solar energy solutions that not only include manufacturing, but also package services throughout the entire life cycle of solar power plants, from project design, engineering, procurement, and construction management through operations and maintenance services. 2. Solar Water Pumping Systems.